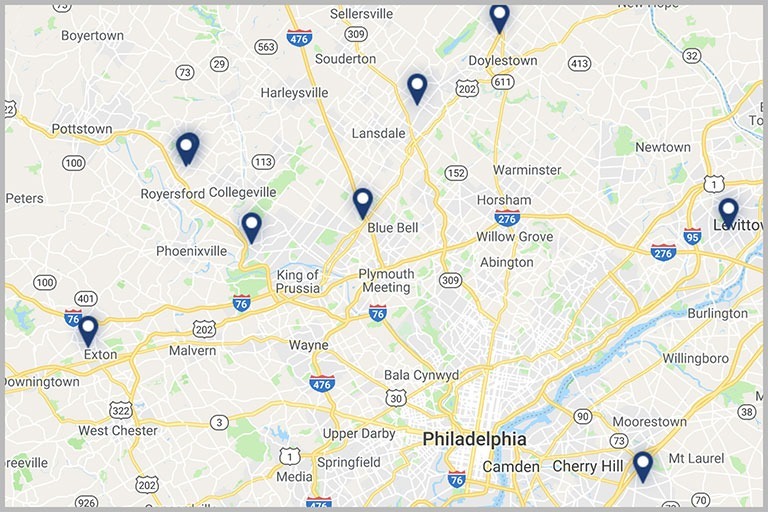 Set on 47 rolling acres in the heart of beautiful Chester County, our apartments for rent in Exton, PA are conveniently located near West Chester, Malvern, Great Valley, Wayne, Paoli, and the Main Line. 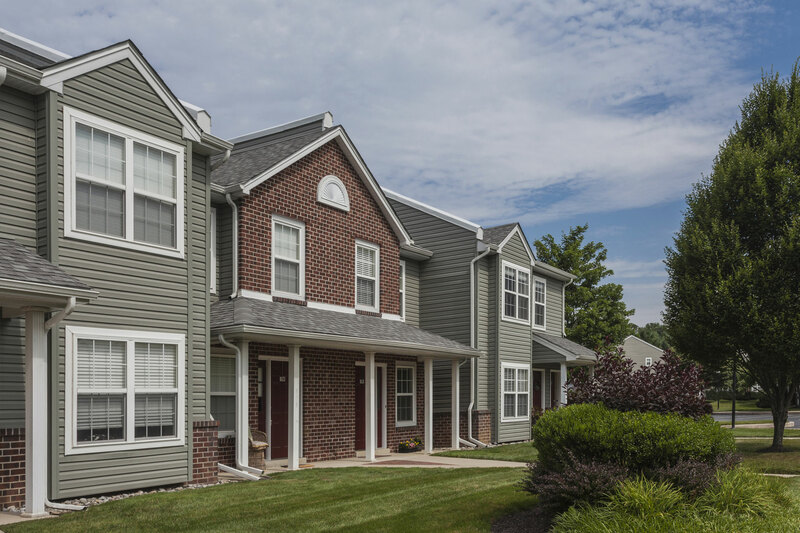 Thomas Meeting’s townhomes offer easy access to the area’s best employers, shopping centers, schools and universities, as well as the nearby historic areas of Valley Forge, Brandywine, and Chadds Ford. You’ll find an abundance of space at Thomas Meeting, whether you’re looking for townhomes or apartments for rent in Exton, PA. Our community is perfect for young professionals, empty-nesters, or an active family. Each townhome has plenty of room for casual everyday living with extra spacious floor plans, separate interior and exterior storage areas, private patios and balconies, and optional features like eat-in kitchens, separate family rooms, and vaulted ceilings. Finding the right balance between work and play isn’t easy, but you’ll find a variety of resort-like amenities at Thomas Meeting. Just steps from your door is The Meetinghouse, our clubhouse with a health club that features aerobic and weight-training equipment, sauna, spa, and dressing rooms. Enjoy the community’s own tennis courts and sparkling pool, which is adjacent to an outdoor entertaining area that includes a fireplace, comfy seating, and barbecue grills. Thomas Meeting is owned and managed by The Klein Company, whose reputation for excellence in apartment management has been earned by combining skilled management teams with a company-wide emphasis on customer service. As a Klein community, Thomas Meeting assures its residents the highest standards of quality and responsive, caring property management. Our beautiful Exton apartment homes offer one-, two-, and three-bedroom spacious floorplan options to fit your housing needs. Each newly renovated townhome at Thomas Meeting offers Energy Star® Whirlpool® appliances, wall-to-wall carpeting, beautiful sleek lighting, as well as vaulted ceilings through out for a spacious modern feel. The updated kitchens include lovely granite counter tops with espresso cabinetry, creating an aesthetically pleasing space that is perfect to entertain in. Each unit also includes a washer and dryer right in your home for the upmost convenience. Your home will feature a patio or balcony for warmer days and a living room with a gas fireplace and beautiful mantel to curl up by on colder evenings. 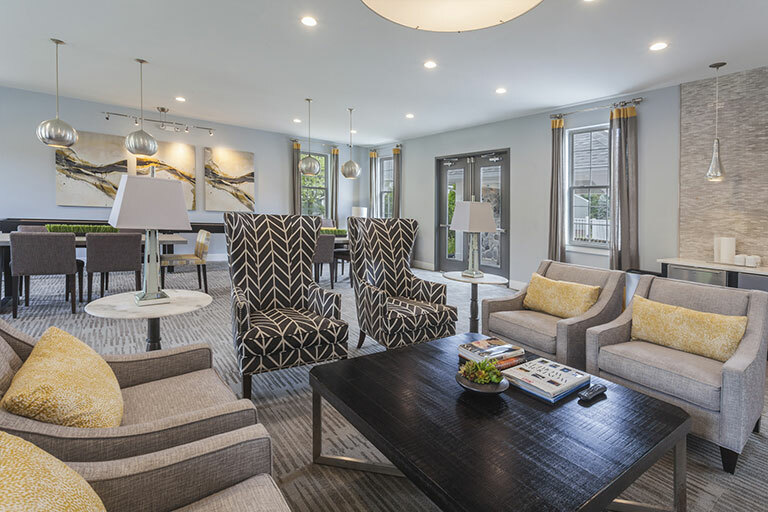 Our Exton homes have everything you need to feel right at home. Thomas Meeting’s Exton apartments feature a fitness center for all of their residents to enjoy as well as a beautifully appointed club house with a cyber café, coffee bar, lounge-style seating, fireplace, and complimentary Wi-Fi. In addition to the clubhouse our community also includes an amazing resort style pool with an expanse sundeck to soak up some rays, an outdoor gazebo lounge with a fireplace and cable tv, a grilling station with patio seating, as well as multiple tennis courts. 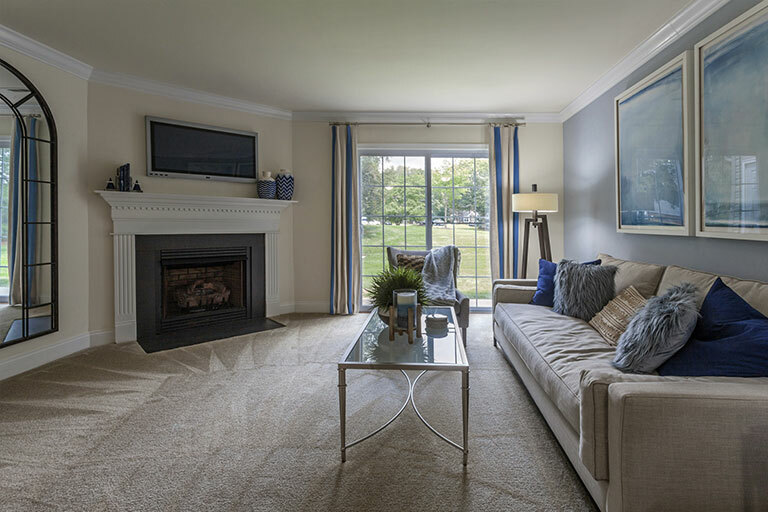 You’ll be living the life of luxury at Thomas Meeting and also in an excellent location just minutes from great shopping at Main Street at Exton as well as Routes 30, 202, 100 and the PA Turnpike. You’ll also be nearby great outdoor activities in Chester County. Make Thomas Meeting your new home today! Discover the life of luxury at our Exton Apartments with an array of features from in-home washer and dryers, to a private patio or balcony, to amazing Whirlpool appliances. Our newly renovated townhomes also feature cozy wall-to-wall carpeting, abundant closet space including outside storage for each resident, and updated bathrooms with designer flooring and finishes. Our homes are built with comfort of our residents in mind. Our community features luxury amenities as well, from an awesome club house lounge with fireplace and Wi-Fi, to our resort style pool, to our state-of-the-art fitness center. Thomas Meeting also has responsive and professional on-site management to help you with all your needs. Check out more of our amazing amenities at out apartments in Exton, PA!